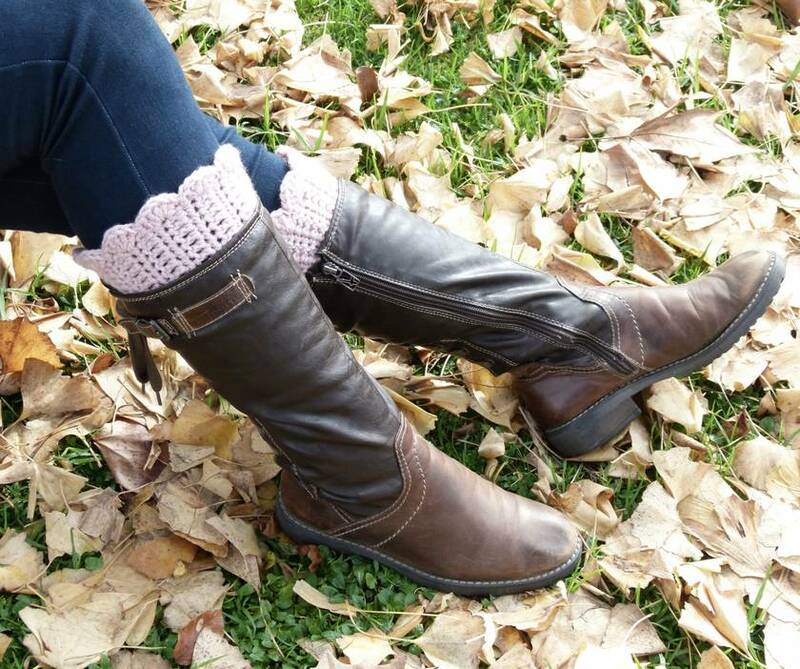 As the weather turns cooler it’s time to bid a fond farewell to our jandels and hello to warm boots. 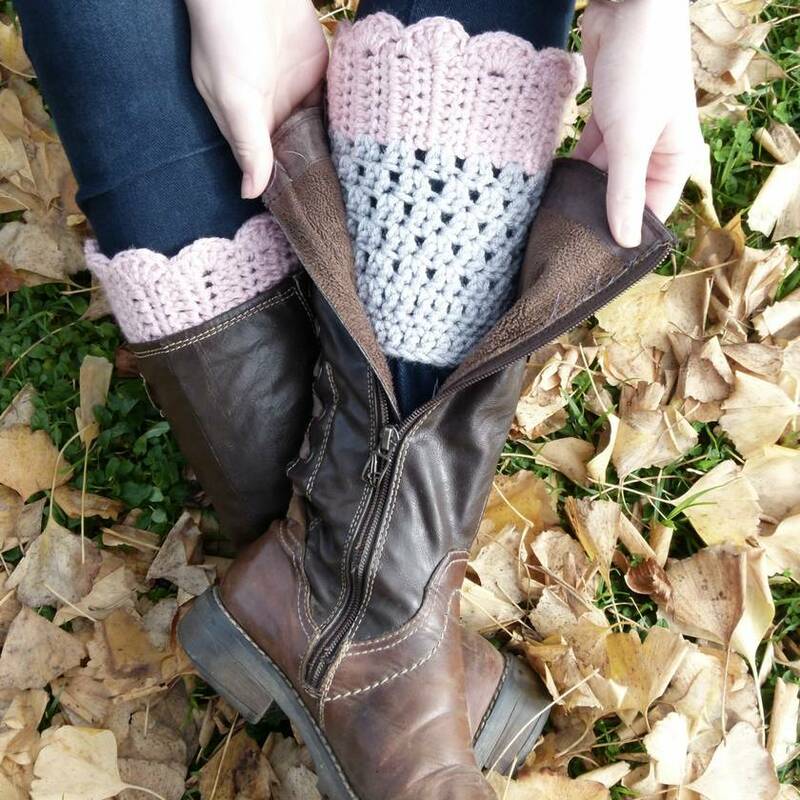 Boot cuffs are a crocheted accessory designed to provide an extra layer of warmth, helping you to stay cosy throughout autumn, winter and those cooler rainy-day walks, while at the same time adding a touch of country femininity and elegance. They are the perfect accompaniment to team-up with jeans/jeggings and your favourite pair of boots. Made in complementary colours and contrasting stitching, the top of the boot cuffs are finished in scalloped edging, giving them a very soft and pretty look. 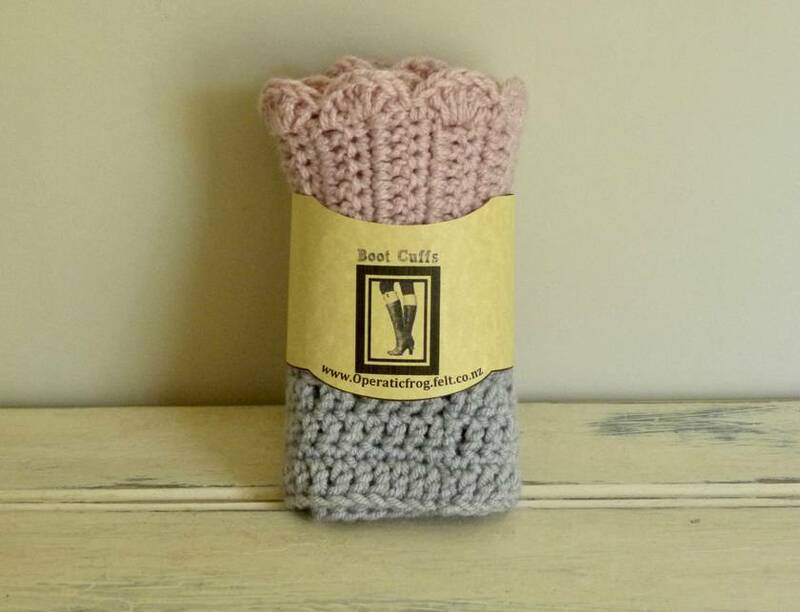 Boot cuffs make a practical and thoughtful gift for the girl who likes to look stylish whether she's out walking the dog or hitting the shops. They are also the perfect gift for sending overseas, as they are small in size and lightweight. 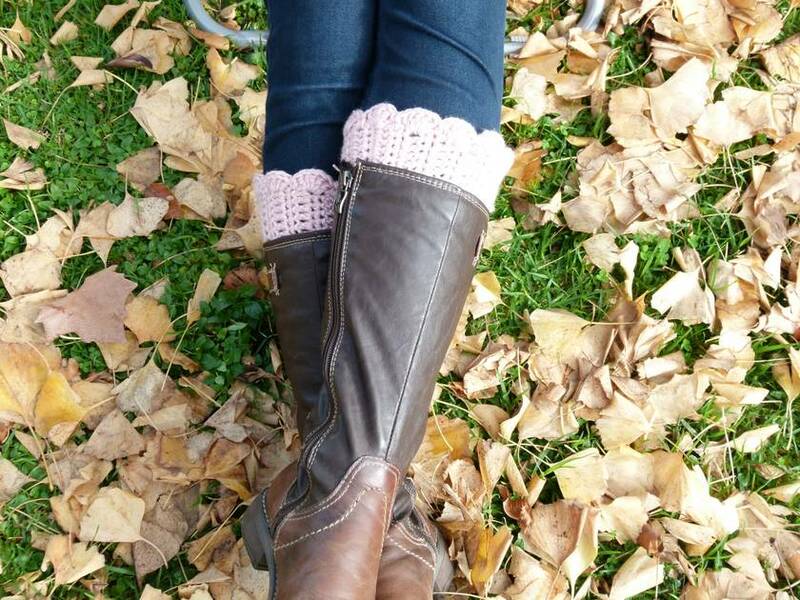 All boot cuffs are made to order so can be made in any size - just message me with your measurements! Still can't quite find what you're looking for? If there is a particular colour combination you would like or you require a different size, why not contact me with your ideas and have something made just for you or your loved ones that will be truly unique! Custom orders are welcome. For a range of my other products please check out my other listings. All items from the Operaticfrog are handmade and crocheted to order, unless otherwise stated in title of the item as "ready to ship". Production time may vary, so please do check the SHOP NEWS section on my home page for accurate processing times. For best results, hand wash in cold or lukewarm water using a liquid detergent (no bleach). Lay flat to dry. Note: Colours may vary slightly from picture due to current yarn dye lots and individual's computer monitor output. Is expected immediately upon check-out via Bank deposit. Immediate payment is requested and much appreciated. If I haven’t received payment or an email after 3 days, I reserve the right to cancel the order. are usually shipped within 3 to 5 business days from receipt of payment, via DX Mail or New Zealand Post. Items will be shipped to the address given by felt.co.nz unless specified otherwise. Postage prices quoted are "International Air". This service does not offer a signature on delivery or online tracking. If you prefer to use the Signature on delivery & online tracking service, please contact me for a quote, and upon agreement I will arrange for the use of the International ExpressCourier service instead. normally takes up to 3 business days to reach New Zealand destinations and have shipment delivery and tracking confirmation. I have quoted a price of $25.00 as a ball-park figure. Please contact me for a more accurate price to specific destinations, as the postage price may be lower than the one listed! I use the International Air service, where they AIM to deliver worldwide within 5-7 working days from date of shipment. For non-NZ locations, New Zealand Post relies on postal services around the world, which means that unfortunately they can’t offer a guaranteed delivery time, and they can’t compensate for delays and/or where applicable, missing Track & Trace information. International Tracked & Signed or International Signed items cannot be sent to PO Boxes and delivery points where there is no-one to sign for the item. I am not responsible for any package lost in the mail. The receipt number provided or where applicable, the tracking number provided, is my proof of postage, and if needed I will provide a copy of the receipt. If you have simply changed your mind, only an exchange will be allowed. Sorry there will be NO REFUND for a change of heart. If you are not completely happy with your order, please contact me within 5 days of receiving the order. You may then EXCHANGE the unworn, unwashed and undamaged merchandise. Orders are non-refundable, they are only exchangeable upon receipt of the item, provided the item/s have been returned in original condition. You, the customer will assume all shipping charges involved in the exchange. I consider 30 calendar days to be a more than reasonable period of time for you, the purchaser to contact me with regards to any questions or issues you may have upon receipt of your purchase, whereby I will do my utmost to accomodate you, and to resolve any potential issues. This 30 calendar days timeframe also includes follow-ups with regards to the return of any purchases, whereby I have received the item/s back, and I have sent messages to you, the purchaser, to see how I can best accomodate you. If however, the 30 calendar days timeframe has lapsed, and I have not received any form of communication from you, the purchaser, it will be down to my discretion if an exchange will be given or not. Please be respectful and considerate - It has taken time and skill to create these items, all of which are made to order. You would not expect a retail shop to give you an exchange after 14 days of purchase, therefore I feel 30 calendar days more than fair. DISCLAIMER. Please note that some of my products have small embellishments sewn on, e.g. buttons, bows, flowers etc. which might pose a choking hazard. While every effort has been made to ensure all embellishments are securely fastened, the Operatic Frog and its owner cannot be held liable for death or injury caused through the use of these products. Please do not leave young children unattended while using or wearing these items. Contact operaticfrog to enquire about payment or shipping options. It's not about quantity - it's about QUALITY & individualism where one size does NOT fit all!